Playing with letters is fantastic for working on letter recognition in a very relaxed way. 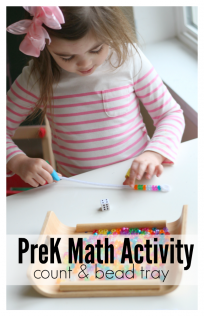 Preschoolers do not need to feel pressure to learn letters; it should be fun and playful, rather than seeming like they’re learning. Including letters in free choice at preschool is easy and in my class, you can find letter manipulatives out every day, but not always in the same spot. Letter cookie cutters with playdough, letter magnets, or maybe a puzzle – the options are numerous. 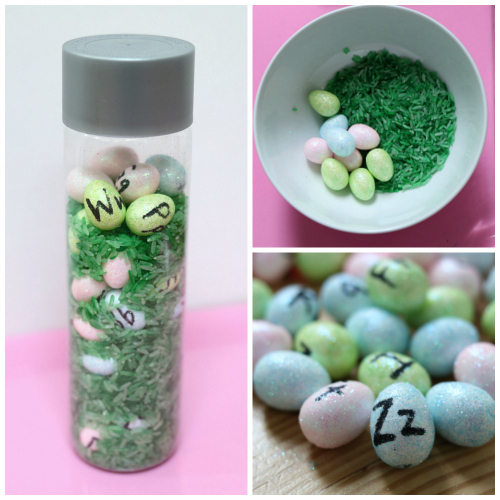 This Easter egg letter hunt sensory bottle combines sensory play with a letter hunt. 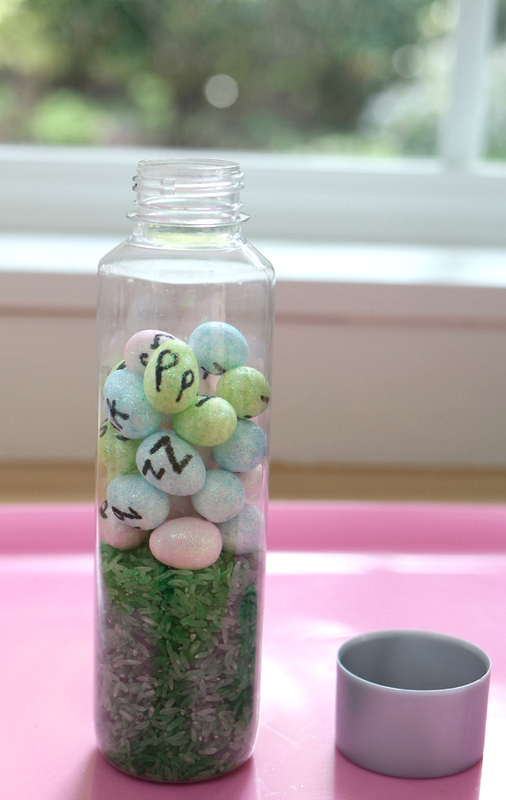 What I love about this is that the sensory bottle is still fun even if the child has zero interest in letters. They can simply ignore them and have fun moving the eggs and rice around. The children who are interested can go on the hunt. The teacher’s role in all of this is to observe and be ready with a question like “What do you see in that bottle?” and then let the child’s interest guide you. For most of my students, we will look for their first initial, or maybe one of another classmate. 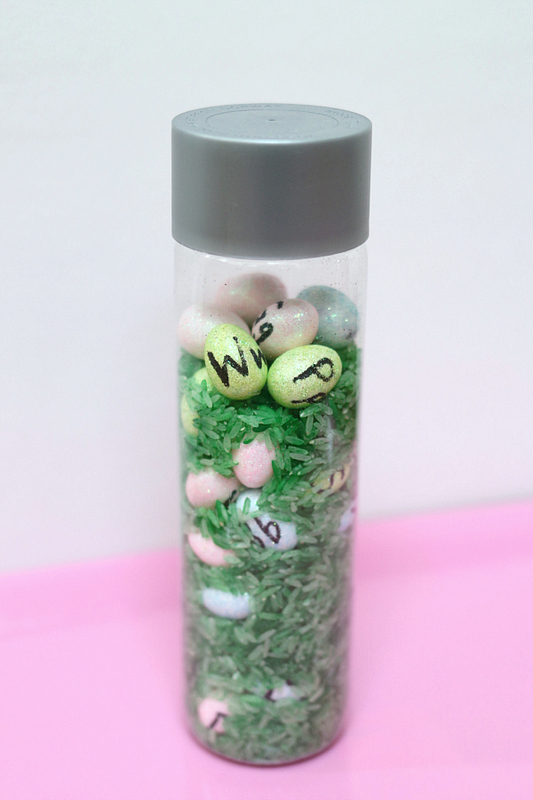 For much older kids, you could even give them short words to try to spell letter by letter as they find them in the sensory bottle. It’s easy to adapt to all levels. Gather your materials. 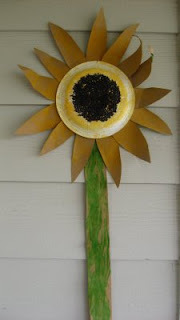 You will need some dyed green rice – I just add a few drops of food color in dry white rice, adding more as needed, then let it dry on baking sheets for a few hours. 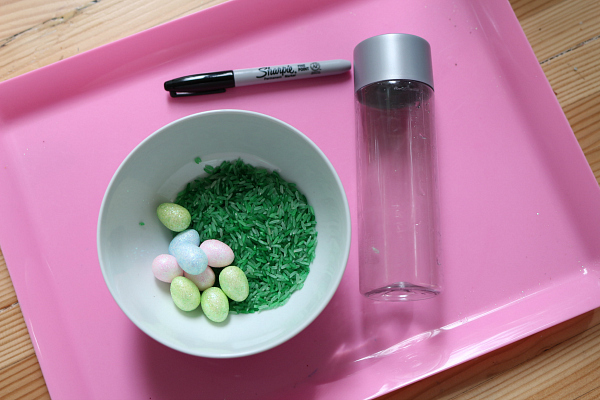 You will also need some small foam eggs, an empty and dry water bottle and a sharpie. 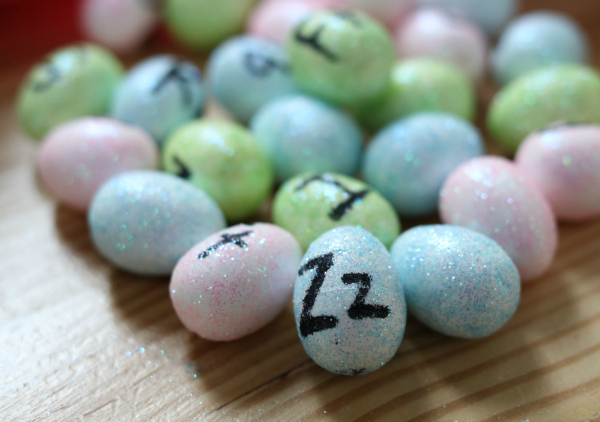 Write the alphabet on the eggs, upper and lowercase, please! Letters come in two sizes, and I prefer to group them together whenever able to. 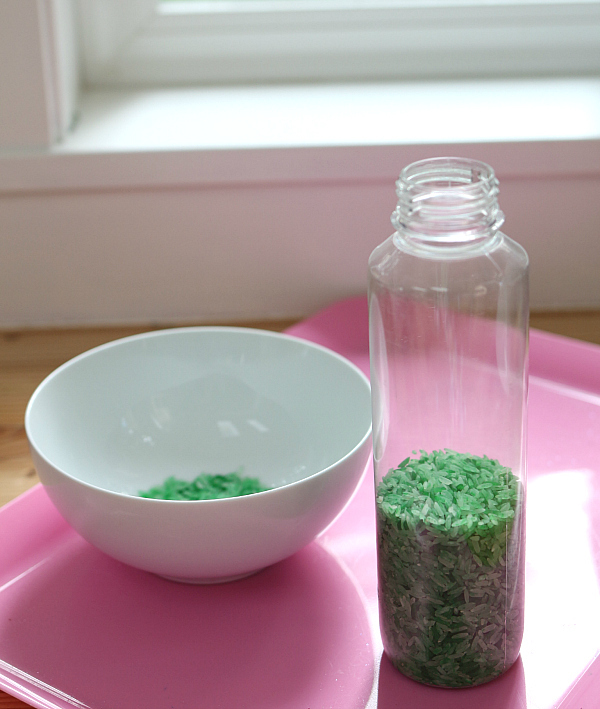 Fill the bottle halfway with the green rice. Add a little more rice. 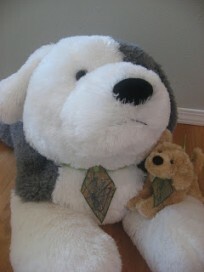 Secure the top and you are ready for the letter hunt! Here is a new Easter book I just bought! I can’t wait to share it with my students. This review includes an affiliate link. 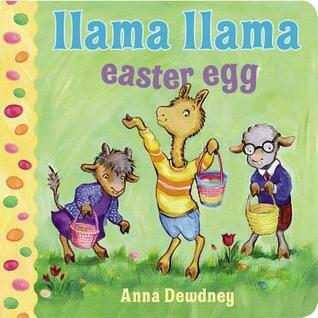 Llama Llama Easter Egg by Anna Dewdney is a very simple board book that will be a perfect addition to my quiet reading time basket. The pictures tell the story although the simple rhyming text is sweet. A young child can read the pictures independently and therefore they are able to understand the plot. However, what I love about this simple Easter story is that it’s not just about chocolate and candy. The bigger story is about an egg that isn’t part of the hunt! 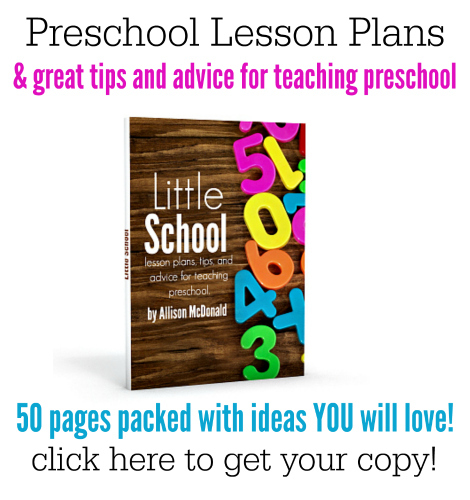 1-3-year-olds will enjoy this little book. For other great Easter activities, make sure to follow me on Facebook! What size eggs did u use? 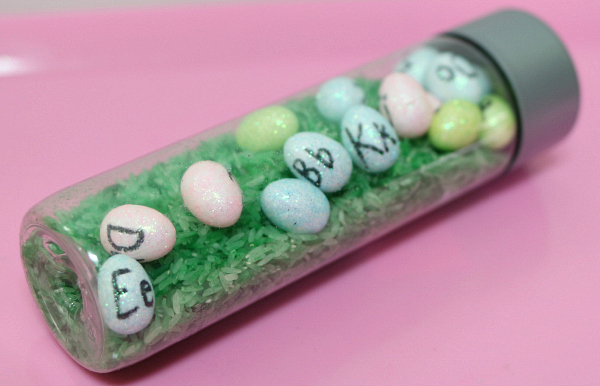 These are little foam eggs from the craft store about an inch long.